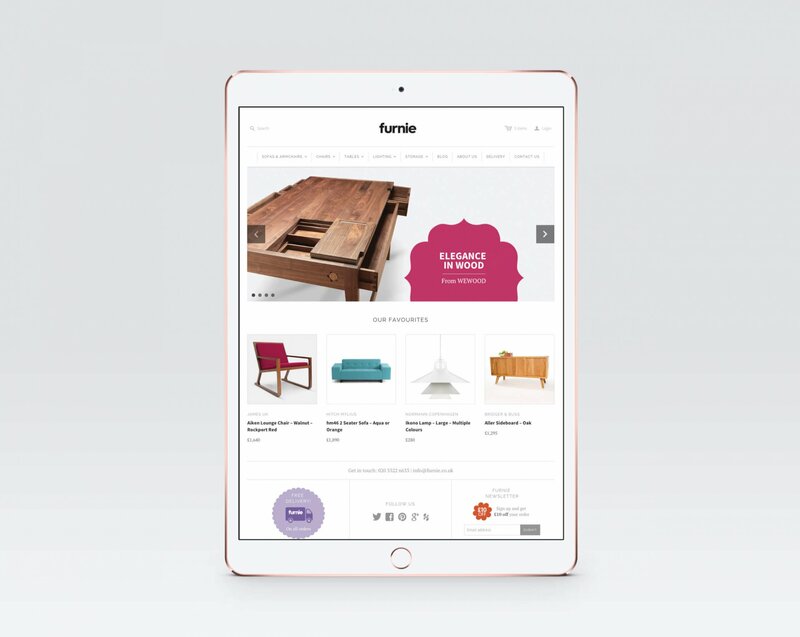 A new venture, Furnie is an ecommerce store retailing modern responsibly sourced furniture from a number of great designers. 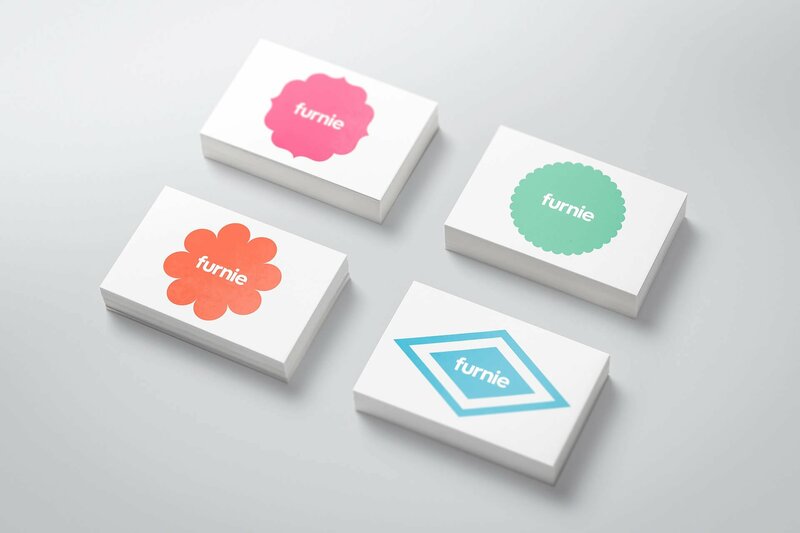 A modern minimalist brand for high-end furniture retail and ecommerce design. We wanted to make the furniture the star of the show, so chose a white background with minimal but complimentary branding. 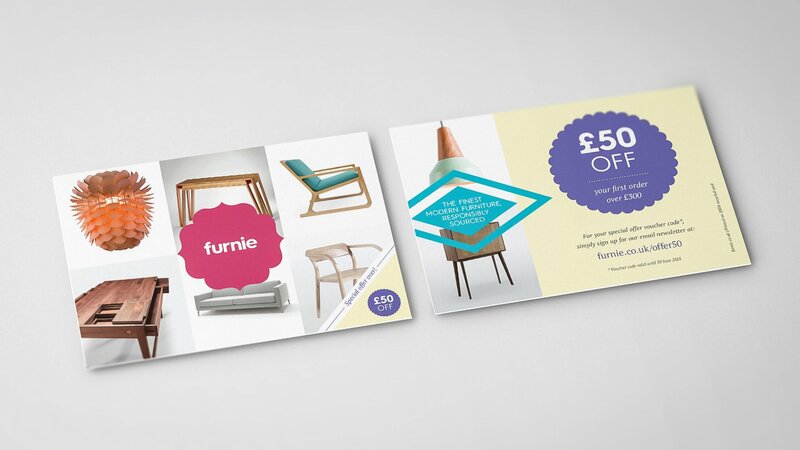 Using a sans serif typeface alongside fun shapes gives Furnie an open and friendly feel.